The Category Search is useful for browsing and locating information in a general subject area, rather like perusing the non-fiction shelves of a library. The Title or Keyword Search is useful when you are searching for a particular article or topic. Any word in a title will locate the document. In addition, each entry has been assigned five Keywords related to the subject matter of the publication, but not used in the title. A list of Keywords is available here. The Author Search will locate a publication by any word used in the names of the authors. 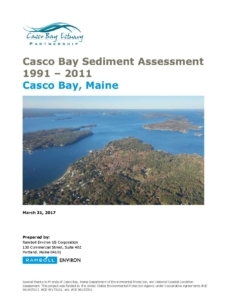 CBEP is the acronym used for Casco Bay Estuary Partnership. The mission of the Casco Bay Estuary Partnership is to help conserve the ecological integrity of Casco Bay and its watershed through science, public stewardship and effective management.